ISSM believe in imparting students with corporate related academic inputs for today’s corporate world. The MBA Programme is the Flagship Programme of "Indian School of Science & Management". The programme aims to produce world-class business leaders, attention will be paid to see that they are matured enough to work in work group & teams. This me lays the foundation for conceptual and analytical reasoning and gives the students an insight into the dynamics of business environment. The course material and design are oriented towards current and emerging issues in management. To impart and develop the right kind of values and attitude to function effectively in Managerial and administrative positions business, industry, public system and the government. To impart the students with current and relevant knowledge from the field of management theory and practice. Contributors to national development by promising a better quality of life. See yourself at ISSM today, and here's where you will see yourself two years down the line. The prestigious programme of Master of Business Administration (MBA) is spread over two years and consist four semester, each approximately of 6 months. The entire package consists of 29 theoretical papers and 2 projects. Guest lecturers supplement regular course work. Students are encouraged to take up dissertation work and do projects on "Contemporary Concerns" under the guidance of faculty. There is a strong emphasis on project work as a part of regular course. While working on projects students are required to interact with managers from the industry. A student graduating from "ISSM" would have carried out one major project, 2 mini projects and one summer internship. The first year of the course presents the students with a comprehensive view of the management discipline. A broad perspective of the industrial environment is presented and a sound foundation is laid for advanced learning in the second year. All the courses in the first year are core courses and compulsory. At the end of First year students have to undergo a summer internship program (SIP) for 45 days in organization, working on a project on a significant aspect or problem relating to any functional area. The main purpose of SIP is to provide students with the opportunity to closely observe the operations and environment of an organization and relate what they have learnt in the classroom to actual practice. 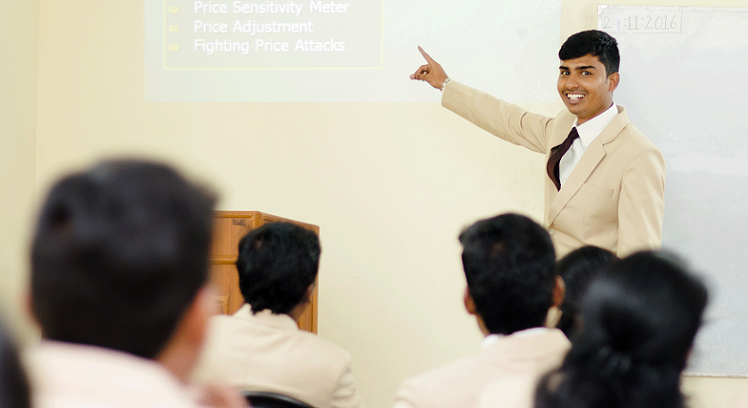 The first year of the course presents the students with a comprehensive view of the management discipline. A broad perspective of the industrial environment is presented and a sound foundation is laid for advanced learning in the second year. All the courses in the first year are core courses and compulsory. At the end of First year students have to undergo a summer internship program (SIP) for 45 days in organization, working on a project on a significant aspect or problem relating to any functional area. The main purpose of SIP is to provide students with the opportunity to closely observe the operations and environment of an organization and relate what they have learnt in the classroom to actual practice. The faculty employs the latest techniques in teaching and training the students. The methods used are: Classroom Lecture, well prepared teaching contents with OHP, Power point presentations, Case Studies, Seminars, Group Exercises, take home Assignment, Presentation of written reports, business and behavioural games. There are guest lectures from professors from leading universities and corporate leaders. In order to inculcate organizational discipline among the student and to make the learning process more effective, attendance has made compulsory. Each class session is for 90 minutes. A student must have at least 75% attendance in each course in order to be allowed to sit in the examination in the respective course. alliances, industry orientation through consultancy, generation of industry support, setting up of facilities through industry, support of research projects and other scholarly activities. Fostering healthy collaboration between the faculty and the students, building mutual trust and respect are the hall marks of the faculty in ISSM.